Programmatic technology is one of the fastest growing sectors within the digital world. 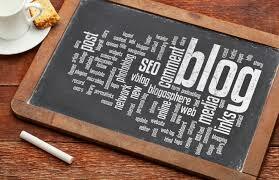 Let us look at fifteen blogs to keep an eye on. This blog is excellent to provide entry-level information as well as for readers to enjoy timely updates. There is also a host of other topics available within a single click. This portal is specifically designed to provide details on how businesses can better interact with their consumer base. As many blogs are written by industry leaders, ThinkDigital should certainly be monitored on a regular basis. There is an entire section devoted solely to programmatic topics within Adweek. With countless articles available, the reader is certain to find what it is that he or she is looking for. Why not trust the top search engine for regular programmatic-oriented blog posts? This portal is excellent due to the fact that the information is written with SEO concerns in mind. This company specialises in business-to-business sales. Thus, it is an excellent resource for those interested in programmatic topics that centre around one’s B2B needs. Focused around the discrete needs of the professional advertising firm, Adage combines a second-to-none knowledge base with a host of topics including programmatic issues. Hyperlinks to sponsored white papers and a comment section are two added bonuses. This massive multimedia portal boasts a number of insightful articles in the realm of programmatic fields. Easy-to-access archives and tag-related searches can help visitors access older reports as well. This portal is the go-to source for intelligent advertising techniques. Not only are programmatic topics covered, but these can be cross-referenced with other fields such as customer service, analytics and marketing strategies. This online resource provides SEO services, website design, pay-per-click marketing and analytical studies. Seer Interactive is also a great reference for those who are just getting involved within the programmatic sector; many articles are written at a beginner’s level. This is another excellent entry-level guide into the world of programmatic marketing. Although blogs are posted regularly, one massive benefit in regards to AdClarity is that live webinars are offered. These are great for those who have additional questions. SlideShare has become quite popular for the unique ways in which it presents its material. The programmatic field is simplified with the use of navigable charts and slides. Additionally, a substantial amount of archived material can be accessed quickly. Step-by-step guides can help to make the learning curve much easier. Marketing Land provides insightful blog posts alongside all of the latest news regarding programmatic buying. Helpful guides, white papers, online video streams and research reports round out the resources to be found here. This is another well-known online resource for all things related to the digital business world. Therefore, it only stands to reason that there is a blog section devoted to programmatic topics. Once again, archived material can be an extra help here. The programmatic advertising solution is an excellent source for all of the latest information, tips and suggestions. Programmatic topics are interspersed with how-to guides, news and infographics to address the needs of unique businesses. As the name hints, this website and its blogs are specifically devoted to the impact that programmatic methods have upon the digital world. Although users can browse this information, there is also the possibility to register with the site to receive regular updates as well as alerts to seminars and similar events.